Thomas L. Wilson is an associate at Moore & Lee, LLP. 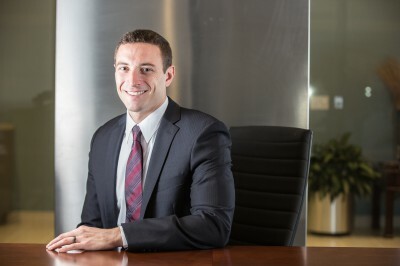 His practice includes representing owners, contractors, subcontractors, and developers in government contract disputes and complex commercial litigation. Mr. Wilson joined Moore & Lee following his graduation from Georgetown University Law Center. While a law student, Mr. Wilson was a member of the Georgetown International Environmental Law Review. He also served as an intern for the Honorable James R. Eyler of the Court of Special Appeals of Maryland. Mr. Wilson worked as a summer associate at Moore & Lee during the summer of 2012. Arizona State University, B.S. 2007.